This week in Argentina I started investigating a new issue regarding one of the world’s largest fast food chain, McDonald’s. If I ask anyone in the United States what is “Mcdees” most representative product and most probably 11 out of 10 will say the BIG MAC. Well in Argentina it is quite different. The quarter pounder is actually the most sold product here. Some Argentines travel to the US without having ever tried a BIG MAC. Why you ask? Well there is a whole story around it that goes farther than just a simple hamburger. Its actually political. Here you can see that the July 2014 price of the Big Mac they recorded is at 21 pesos (2.50$ USD). This price is usually frozen until after the report is released. In present September 2014, the price is at 25 pesos (2.90$ USD). Yes the difference is minimal, yet it demonstrates a point. That point led me into digging more into the issue. A Slate.com article written back in 2012 started dismantling this issue, (http://www.slate.com/blogs/moneybox/2012/05/01/why_big_macs_are_cheap_in_argentina.html). The writer of the article, Mathew Yglesias, spoke about the Moreno Big Mac. Moreno was Argentina’s economic minister up until last year. Having presided with Nestor Kirchner’s late gabinet and six years of Cristina’s term. He employed this neo-populist economic idea. Cutting imports and FDI. Regulating the currency by creating a black market dollar (the dollar blue). 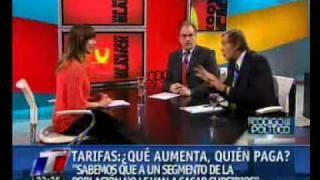 Also by controlling the INDEC, Argentina’s national institute of statistics and census, he was able to control the mensual inflation reports. When the inflation is by 30 percent per year, the INDEC will say it was only 7 percent. So what is the point of the Moreno Big Mac? Basically hide Argentina’s real numbers. The Big Mac index is a somewhat reputed statistic in international economics, which serves to display under-valued or over-valued currencies as well as price parity per capita by using a product that is made and sold similarly worldwide. In other words, how the same good is valued throughout the world in comparison to the gdp per capita. Cases like these demonstrate what this government is capable of doing. Its funny and yet disturbing at the same time. Thanks for your attention, I’m off to BK.